In 2016, Nisqually banded together 12 different tribes up and down the west coast and a few east coast tribes to join us in a paddle down the Missouri River. Our destination was Standing Rock Sioux Reservation, where we were joining them in their fight to protect their land and water from dangerous and exploitative pipeline drilling. This two-day pull was welcomed by rain, sleet, and sunshine. Despite tumultuous weather the best part was being welcomed by our people and carried through by our ancestors. 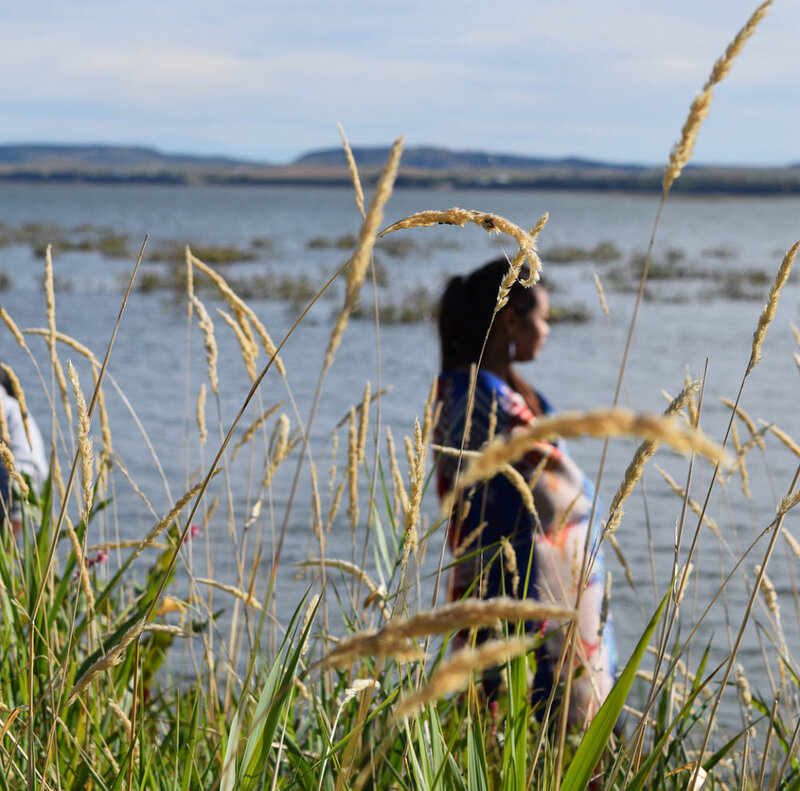 The video below is compiled of images from the morning we pulled in, with an ending scene of Handford McCloud, Council Member of the Nisqually Indian Tribe asking the Sioux Tribes Chief for permission to come upon the shore. "It was us against the government. I breathe in and I breathe out."